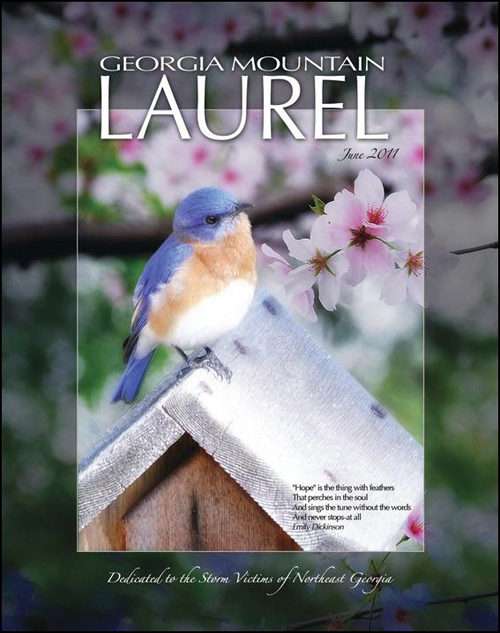 Our PixelGraphs photomontages are the cover story in the June issue of the Georgia Mountain Laurel magazine. We are very proud to be part, even if small, of this beautiful magazine. Though there is sadness on its pages because of the April tornado that left a path of destruction through Lake Burton and Mountain City in Rabun County, there are also heartening stories of neighbors helping neighbors, of people coming together to help the ones affected by the storm. And when people respond to adversity in this way there is always hope for the future. Click here to see a PDF of just the cover and related article or here to read the whole magazine.